This joyous, heart-stopping one-woman play chronicles the life of Harriet Tubman, revealing why the famed Underground Railroad conductor continues to influence people 103 years after her death. 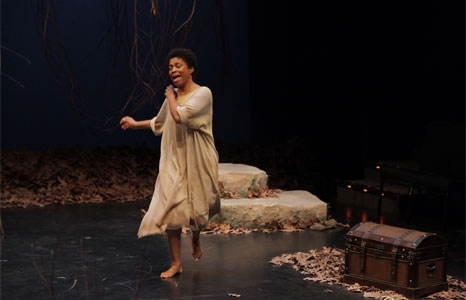 In a tour-de-force performance, Karen Jones Meadows plays 31 characters re-creating the world of this spiritual icon, revolutionary, and entrepreneur, from her childhood spent in slavery to heartbroken pragmatist. Karen Jones Meadows is an award-winning author, actress, producer, and workshop designer-facilitator who emphasizes expansion, renewal, and actualized freedom for all in her sessions. She is the founder of One Purpose Productions, a company that creates mass media content—plays, film, television, books, and on and off-line experiential workshop adventures—that are dynamic, innovative, and universal in theme, passion, and resolution.